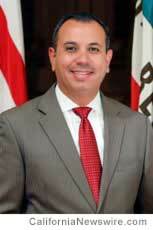 SACRAMENTO, Calif. /California Newswire/ — The Calif. State Senate today gave final approval to SB 792 authored by Senator Tony Mendoza (D-Artesia), on a bipartisan vote of 31 to 5. The bill will protect California children in day care from contracting serious diseases by requiring family day care home and day care center workers and volunteers to be vaccinated against measles, pertussis, and influenza. The bill now goes to Governor Brown for consideration. “I am very pleased SB 792 was given final approval today with overwhelming bipartisan support by the State Senate,” said Senator Tony Mendoza. “With the deadly outbreaks of measles and influenza this year, we must do everything in our power to protect California’s children who spend time in day care. One child’s death is one too many, especially when it may be preventable,” added Mendoza. As recently as the year 2000, the Centers for Disease Control and Prevention (CDC) had declared that measles was eliminated (absence of continuous disease transmission for greater than 12 months) from the United States. This was made possible due to a highly effective vaccination program and better measles control. However, from December 28, 2014 to April 10, 2015, there were 134 confirmed cases of measles in California according to the California Department of Public Health. The outbreak likely originated from a traveler who became infected overseas with measles and visited Disneyland in Anaheim, California while contagious. Additional cases emerged, including a Bay Area Rapid Transit (BART) passenger with measles who travelled from Millbrae to San Francisco, potentially exposing more than 1500 riders. For influenza, in 2013-2014, there were 404 confirmed deaths, including ten pediatric deaths of which three were under the age of five. SB 792 protects young, vulnerable children by requiring caregivers at day care centers and family day care homes to be immunized against influenza, pertussis, and measles. Currently, there are no immunization requirements for day care workers and day care volunteers. The bill allows for circumstances under which a person would be exempt from the immunization requirement, based on medical safety, current immunity or declining the influenza vaccination. “My bill will require all day care center and family day care home personnel to be vaccinated. This is not just a common sense solution, but makes scientific sense,” added Senator Mendoza.